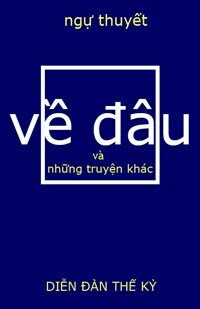 Một người Mỹ, Giáo sư Eric Henry, bạn của nhà văn Trần Văn Thủy đã dịch bài này sang tiếng Anh vào tháng 6, 2017, chúng tôi xin hân hạnh được đăng tải dưới đây. 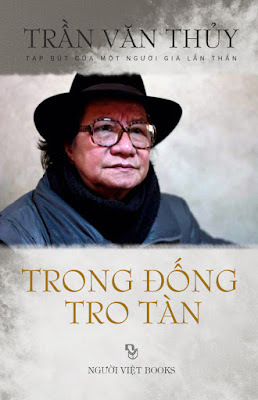 To the best of my knowledge, the writer and film director Trần Văn Thủy is the first person living in the contemporary society of Vietnam who set forth the problem of kindness in his own productions. His documentary film On Being Kind was made in 1985, and after being shown several years later, it created a great upheaval in the consciences of viewers, not just in Vietnam, but in many places around the world. What does this mean? What is this about kindness? Well then, what is strange about it? Is it not the case that from the time of the creation of Heaven and Earth, human beings have lived amid an endless struggle between Good and Evil—this reminds me of the name of an American film, From Here to Eternity, or as the French render the title, Tant qu’il y aura des hommes—as long as there are people—as long as people still exist. The English and French titles of this famous film both allow us to see that the conflict between Good and Evil will continue forever in human society, a fact impels us to think more deeply, as we perceive that the essence and goal of our lives is to do our best to push down that which is evil, so that good can rise to the top. But on reflection we observe an odd thing, that the spiritual hierarchy according to which Good and Evil are distinguished was determined long, long ago, and perhaps arose directly as an instinct inherent in living things: life is good, murder and destruction are evil; love is good, hatred is evil; freedom and ease are good, imprisonment and limitation are evil; invention and development are good, backwardness and lack of progress are bad; being well-fed and warmly clothed is good, hunger and nakedness are bad. One could go on endlessly listing these pairs of good and evil opposites—a sign that the destiny of human beings is unstable, but the experience of living and the spiritual development that goes along with becoming a mature person both affirm the direction that we need to follow and, and show us what things we need to eliminate. This consciousness has created a kind of TRUE DOCTRINE of life, common to all people east and west, ancient and modern. That people should live in kindness with others and with nature is merely a principle that already lies within the True Doctrine of life, but the reason a person like Trần Văn Thủy had to make a film so as to set this forth as a grave problem of conscience is because life under the system governing the Vietnamese appeared to be lacking in Goodness, and in fact seemed to be inclining toward evil. This was not a question of Good and Evil within an ordinary society, but was the result of the policies of an unusual regime. Due to this, the crisis resulting from the tendency of Evil to suppress Goodness became daily more evident: it became a crisis for the country as a whole. The film On Being Kind first appeared in 1985—counting back from the present year, 2016, that was thirty-one years ago. So where has the journey of this film and the man who made it brought us by now? The tale of the secret smuggling of this film across Vietnam’s border so that it could be shown at the Leipzig film festival at the end of 1988 could be the subject of a breathlessly suspenseful detective film. And when the film’s maker slipped across the border to France on the same evening when the film was shown and enthusiastically received at the Leipzig film festival, this was in itself every bit as suspenseful. Only after arriving in France did the film’s maker learn that On Being Kind had won the Silver Dove award at the Leipzig festival. Then it was shown in theaters and on television in France. And after that, many other countries purchased rights to the film and showed it. When participating in the festival where On Being Kind was shown, Director Trần Văn Thủy stood on a terribly thin, fragile line; either the film would win a prize and he would become a man of achievement who could safely return to Vietnam, or, if the film gained no award at all, he would have no choice but to become an exile in Western Europe. But “Kindness” smiled on him, and today, at the age of seventy-six, Trần Văn Thủy has consolidated his career with the book Thủy’s Craft (Chuyện Nghề Của Thủy), and the book Amid the Heap of Dusty Ashes that you, reader, are now holding in your hands. 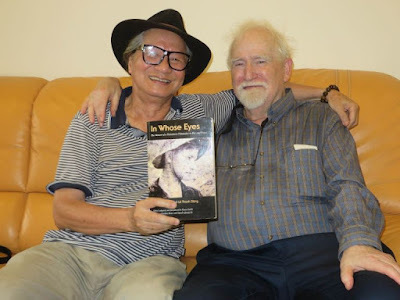 What Thủy’s “heap of dusty ashes” refers to depends on how the reader sees it, but as for the author, I would guess that the name is in some sense a summing up of his personal journey throughout the last fifty years (1966 -– 2016). It doesn’t necessarily carry a negative meaning, as when we stand before the remains of a house consumed by fire with nothing remaining but ashes—it is rather the summation of a period encompassing nearly the whole of his life filled with unending vicissitudes on a theme nearly unique: kindness. This “heap of dusty ashes” is merely a manner of speaking, and perhaps includes a suggestion that somewhere in this disorderly heap there may remain a few embers from which Goodness may burst into flame again. It seems that in this life, there are few if any people who, when they close their eyes and unclench their hands for the last time, do not feel regret for one thing or another. As for me, I regard myself as an ordinary person who has done his best in every situation to do his duty. But my powers are limited; I just feel sorry for the young ones, for our grandchildren. They will come into a meager and scattered inheritance only. It won’t be easy for them to enjoy happy lives in the full sense of the expression, such as we of our generation have wished for them. But in any case, I wish to express the sincere wish that every one of them will be able to live lives full of happiness, and live in the peace and purity of a society that is more honest, more tolerant, than in the past. What he regrets is that his grandchildren’s generation will not be able to enjoy happiness in a complete sense, such as his own generation had wished for them—in other words to live in a society more honest and kind. The word “more” here is full of significance and reflects the sad facts of modern Vietnamese society. Chapter 2, “My Father,” is the essay that I feel is the most important in the book. In recounting the story of his father’s life, he clearly states that he is “fondly remembering his teacher”—the man who was his biological and spiritual father—which shows the depth of love and respect with which he regards this figure, who, it seems to me, served as a model, a mirror, for his entire life. There was one thing his father said that the author, throughout his life, was unable to forget, a sentence calmly uttered after he had witnessed the execution by shooting of a close friend, uncle Phó Mâu, during a “struggle” session. Throughout my life, I have been continually aware of all that my father said to me. This is not the place tell about all of these things, but that sentence, so full of pain and reluctance, “All — is — ruined, my sons” I will surely be unable to forget even as I descend to the grave. Surely, when a youth hears his father utter such a sentence amid a set of special circumstances in his country, it will become something impossible for him to forget. “All — is — ruined, my sons,” a blanket, sweeping expression of a total collapse within the spirit of the father, who conveyed to his sons a consciousness of the future of the society in which they lived, with who nows [knows] how much hope that this regime would open up a splendid new period for the country. “All is ruined” was the crucial mark or scar laid down in the soul of the author when he came into adulthood, so that throughout his life he would strive to perceive in what ways society was ruined; and the impression made by this utterance served as a guide to his behavior, so that he could raise a voice of warning to everyone concerning an endlessly tragic crisis threatening an entire people. 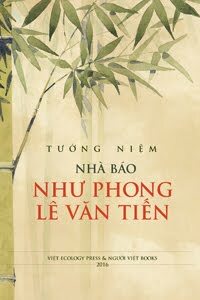 In this book, which the author evidently considers his last effort, we feel that the chapter “My Father” is the place where Trần Văn Thủy states what he most fiercely believes in this life, which is the True Doctrine transmitted to him by his father. His father had received this True Doctrine from the age-old traditions of the people of Vietnam, and it was in no way different from the True Doctrine held in common by humanity for thousands of years. Trần Văn Thủy ponders this basic question in the various other chapters of this book. He is in essence a documentary filmmaker, a man who throughout his career always noted and reduced to writing the various topics that should be made into films—but alas, not many of these intentions of his have turned into realities. In the chapter “Scripts That Didn’t Turn Into Films,” he records the content of those of his cinematic children who never saw the light of day, mentioning many details, and sometimes expressing rage. Another film script that pleased me no end was when I wrote about Trịnh Công Sơn in 1980. Perhaps because I had just returned from Russia and had just finished making the well-known film “Betrayal” (1979 – 1980) and was eager for more notariety, I wrote about Trịnh Công Sơn. I wrote about the months and days in which, as I lay in the mouldy tunnels of the southern warfront (1966 – 1969), I would stealthily listen to the Saigon broadcasting station and get gooseflesh as I listened to the songs of Trịnh Công Sơn, hearing such lines as, “The cannons echoing night after night in the city, The street sweepers suddenly stop their sweeping to stand still and listen; the Vietnamese girl with golden skin… I was obsessed by the people of the South, and the music of Trịnh Công Sơn. How could I have loved it to that extent? Why was I so deeply stirred by it? The problems I laid out in the script didn’t have to do only with the mesmerizing melodies and lyrics of Trịnh’s music, but centered on a question I asked myself: What was the region, what was the culture, what was the character, that had created this pure and good soul, that had created a person of such sincerity? If, in the words of Karl Marx, “A human individual is a product of the fusion of many social relationships, then why did the society of the South, permeated by the crimes and refuse of the American puppet government—produce a Trịnh Công Sơn? Every chapter in this book concerns a matter of interest and, one can say, has an attractive character, but all are suffused with strong feelings that sweep the reader into he [his] discourse. The writer observes the people he knows, together with the joyous and sad things that have happened to him, with great acumen, and when he relates them, all these things turn into lessons for the reader, lessons concerning character, concerning an attitude of living in the world with an unchanging concern: to focus vigorously On Being Kind and compassion. The author has a very broad range of relations; the topics he writes about range from the filmmaking world of Japan to Americans active in cultural or charitable activities, from making a film about the cathedral complex in Phát Diệm with its unique architecture, to a doctor of rare character who cared for lepers, Dr. Trần Hữu Ngoạn. On finishing the chapter devoted to this last figure, the reader feels constrained to cry out, “There was a saint or a bodhisattva! And he has a chapter on the musician Phạm Duy, whom he revered from the time he was little. In view of the role Trần Văn Thủy has played, and looking at the society in which he had to live, and at the way in which he drew observations, judgements, and analyses, so as to tear down the fiendish ideological barbed wire fence in the era in which we live—we can see that, quite apart from his professional role as a filmmaker, he is truly a philosopher, a philosopher who charges into the fray of existence with deep and courageous books and films. For example, when we watch the film On Being Kind, or at least look at the film script, which the director himself wrote, we will see how crucial the ideas in this script are. With no script, the film would be a silent movie; that much is obvious; but what is important are the words that Trần Văn Thủy put into the script. Those words are the soul of the film. They are succinct and easy to understand, but they have a wide application—whatever one sees or hears goes to the heart of the matter, and the film has a special ability to cause the viewer to understand things beyond what he actually sees. Thus, inherent in the script is a philosophy of events and things that raises them to a higher level of generality. With great rapidity the world caught the significance of the humane signals that Trần Văn Thủy had implanted in the film On Being Kind. In the late 1980s more than ten large television stations throughout the world purchased the rights to the film, and the American John Gianvito named the film as one of the ten best documentary films ever made. Such a thing had never previously happened in the history of Vietnamese cinema. 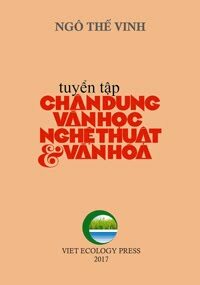 More than ten years ago Trần Văn Thủy published a book entitled If You Go to the End of All te [the] Seas in which he posed a question both concrete and metaphysical: if you cross all the seas, where will you arrive? Starting at the outset with the concept of a round world, the author expressed the view that, “If you cross all the seas, all the oceans, and cross all the continents, traveling ever onward, ever onward, you will in the end come back to your homeland, to your own village. But many years later, when he went to the United States, only then did he see that the Vietnamese in distant lands had crossed all the oceans, all the continents, going ever onward, but were in the end unable to return to their homelands, their villages. The newest book, Within the Heap of Dusty Ashes, gives us the impression that the author does not pose that question to himself any longer. The geographical road, whether on the face of the earth or the sea, is clear—if you keep going further, you can return to the place you started from. But for the road that passes through people’s hearts and all its entanglements with life, one cannot lay down any simple route. The feelings and objectives of the Vietnamese when they thrust their boats into the open sea so as to cross oceans were not such as to make them ask themselves the romantic question about where they could arrive if they went to the end of all the seas. They instead aimed to arrive at some harbor where they could live a free life worthy of a human being. But their lives grew settled in their new surroundings; then, for sure, the road turning back to their homelands still existed in their hearts in many different forms, political, economic, sentimental… and oftentimes only as a dream of returning to a land finer than before, more worthy to be lived in. My journey has reached its end! The hearts of people are joined! May you halt here for a moment in joy! What you have dreamed of now is here! Travel in a realm of feeling everlasting. In the hearts of people of all lands. Could it be that when he wrote these words in the year 1960 Phạm Duy had a presentiment of the roads of the world “leading far” that the Vietnamese people would travel, and that later raised a perplexity with regard to the journey’s end in the mind of Trần Văn Thủy? But Phạm Duy also saw the joy to be found in “a realm of feeling everlasting”—could it be that this is the feeling of humanity, of kindness, of love, that Trần Văn Thủy strove to awaken and promote throughout his life, so that it would win out over crudity and evil?